The UCSRN complete structure consists of 6 different bodies: the Executive Board, the Academic Committee, the Social Committee, the Advisory Body, the Independent Body and the General Assembly. The Executive Board consists of a Chair, Secretary and Social Committee Chair, Treasurer, Commissioner of External Affairs and Academic Committee Chair. 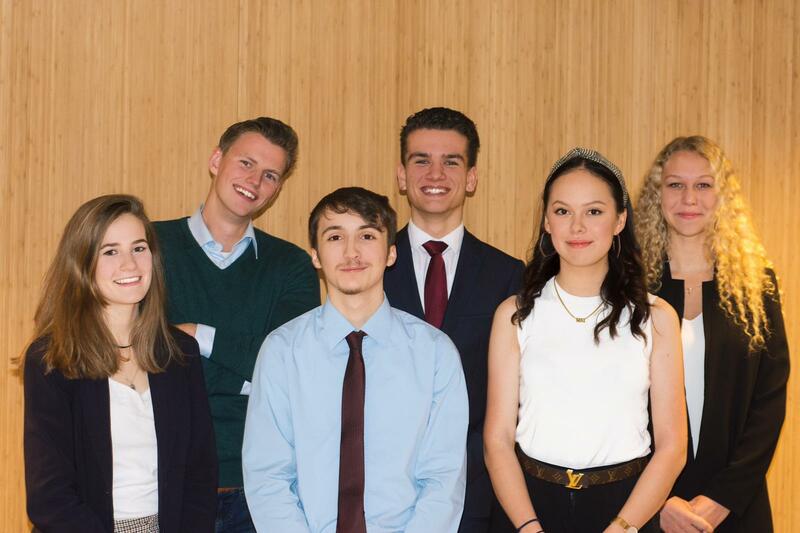 For the academic year 2018 – 2019, these positions are respectively held by Stephen A. McCarthy, Mai Thai de Rijk, Justin Smael, Victoria Mai and Bart Knibbe. There is unfortunately no photo with every SC representative present this year. Enjoy last year’s photo below! 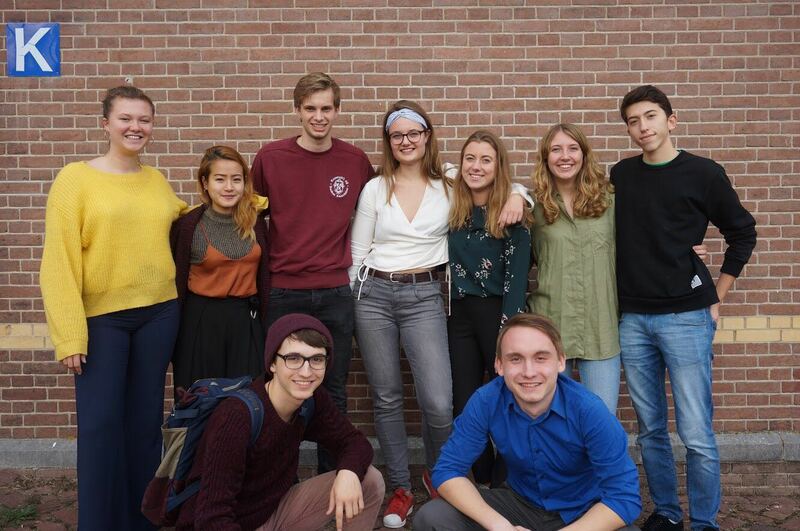 2017-2018 SC, From left to right, upper row: Louise Ten Bosch (AUCSA – AUC), Shinozaki Claudia Yuki (UCSA – UCU), Ruben van den Akker (RASA – UCR), Maaike Brookhuis (EUCSA – EUC), Milou van Nederveen (Atlantis – UCT), Marit Visserman (Caerus – UCG), and Flamur Hamidi (Fortuna). Lower row: Stephen A. McCarthy (Universalis – UCM), and Domagoj Ivanusa (Extra Muros – TUC). There is unfortunately no photo with every AC representative present this year. Enjoy last year’s photo below! 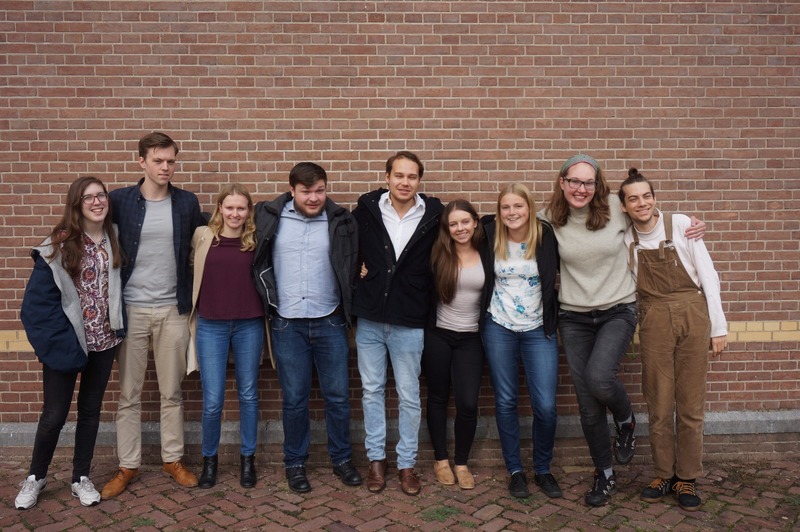 2017-2018 AC, From left to right: Xenia Una Mainelli (Atlantis – UCT), Jelle Ages (AUCSC – AUC), Maaike (Extra Muros – TUC), Nicholas (Fortuna – LUC), Daan Friese (EUCSA – EUC), Freya Quist (Caerus – UCG), Marjolein Becker (AAC – UCR), Mirre Stevens (ASC – UCU), and Lennart Salek Nejad (Universalis – UCM). The General Assembly is the primary decision making body of the UCSRN. The General Assembly consists of ca. 54 delegates (9 members x 6 delegates each, exceptions not noted). It is chaired by the Executive Board Chair. The agenda and documents of the GA are sent around at least 14 days in advance. Some documents may also be uploaded to this website. Only delegates may vote at a General Assembly, but all students may attend one. The Independent Body of the UCSRN ideally has at least 3 members. It is strived for that every member-UC contributes at least one member to the Independent Body, this entails optimal structure in diplomacy. The Independent Body monitors the voting at the General Assemblies, monitor the upholding of the Statutes and the Policy Manual by the Executive Board, performs an audit of the finances and acts as an appeal court to settle disputes of and within the UCSRN. Any student of a member-UC that is interested can apply by sending an email to info@ucsrn.nl. The Advisory Body consists of both former Board members as well as others that can provide helpful advice to the current Executive Board based on their experiences with the UCSRN. The Advisory Body may not vote at a General Assembly, but may give advice at any moment. Do you want to get in touch with the Executive Board? Send an email to info@ucsrn.nl addressed to Evi. To get in touch with the Social Committee, send an email to social@ucsrn.nl addressed to Milou. To get in touch with the Academic Committee, send an email to academic@ucsrn.nl addressed to Mirre. To get in touch with the Independent Body, send an email to independentbody@ucsrn.nl. To get in touch with the Advisory Body, send an email to advisorybody@ucsrn.nl.